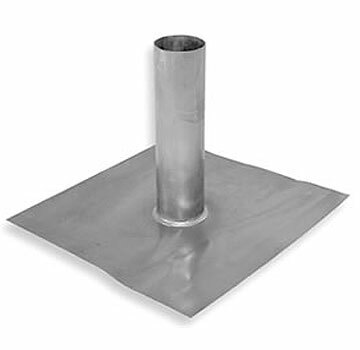 PRODUCT: #L325 Lead Pipe Flashing, 3-1/4 inch ID x 12 in. Riser fits 2-1/2 Inch Pipe, 16 X 16 inch Base, 4 Lb. Lead. Lifetime Manufacturers Warranty. Price/Each. SIZING: Fits 2-1/2" pipe (2.875" O.D. penetration).